New smelling destination opened in Bangladesh! Home/About Us/Newsroom/Print Media/New smelling destination opened in Bangladesh! Al Haramain has added one more showroom in Jamuna Future Park, Dhaka – Bangladesh to reach our valuable customers and demanding needs of quality perfumes. Mohammed Mahtabur Rahman (Nasir), Chairman & Managing Director, Al Haramain Perfumes Group of companies and Chairman of NRB Bank Ltd. with Nurul Islam Babul, chairman of Jamuna Group, Engr. 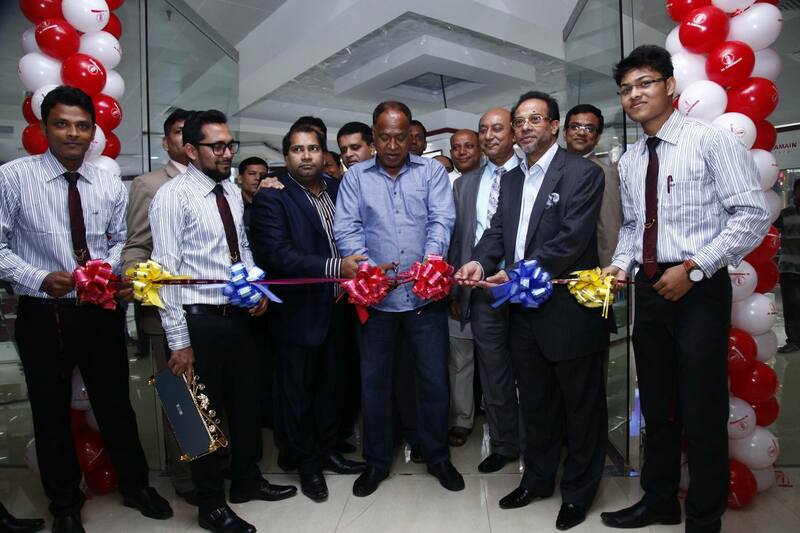 Farasath Ali Chairman of NRB Commercial Bank and others, inaugurated the 4th showroom of Al Haramain Perfumes in Jamuna Future Park, Dhaka – Bangladesh.